The parking lots A, B, C, D and E provide parking space for 2,720 cars. When entering a parking lot, take a ticket at the boom barriers. Please note: a red light above the barrier means that the parking is lot is full and only exiting is possible. Parking tickets can be paid at the ticket machines in the entrance hall (only coins or cash). A ticket costs 5 euros and can be paid before or after an event and is valid during the whole visit. In the Ethias Arena parking lots a few parking spots are reserved for wheelchair users and their companions. We would like to inform you that strict control is maintained on these reserved spots. So please keep your EU parking card, ID and entrance ticket ready to show to our parking attendants. Not a holder of an EU parking card? But you do need a special parking spot close to the entrance because of reduced mobility? 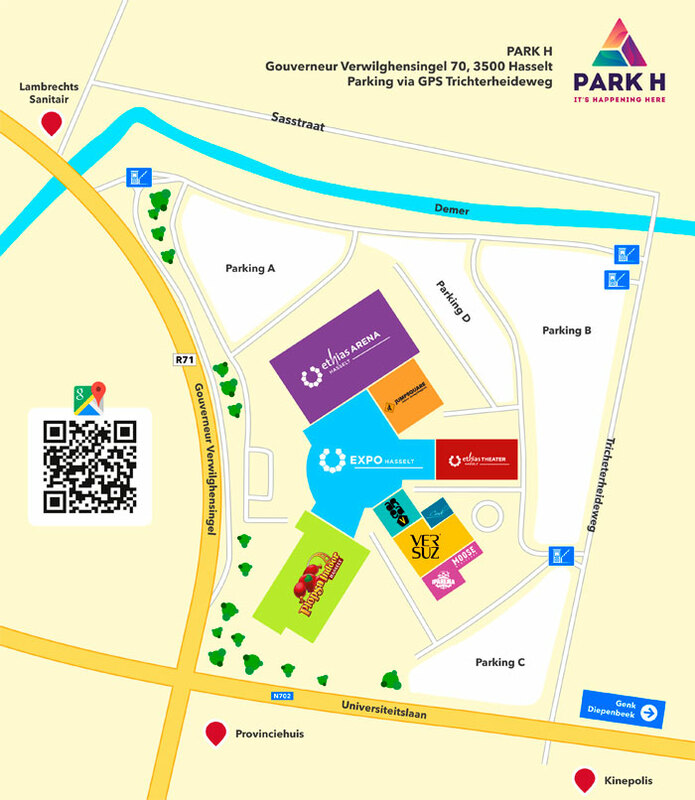 Then please keep in mind that you will need to inform our parking attendants at the entrance of the parking area, preferably with a doctor’s or other medical certificate as proof. Or you can also contact us in advance by sending an email to info@ethias-arena.be.. We will try to respond to your request as quickly as possible. In case of serious traffic issues in the vicinity of the Ethias Arena or bad weather conditions, we’ll try to do our utmost to let the event start when the majority of the audience is inside.